Shubh Labh Industries is one of the leading manufacturers, suppliers and traders of GGBS, Red Oxide, Quartz Powder and Calcium Carbonate etc. We offer these products at reasonable rates. Being a noteworthy enterprise of this industry, we are offering a wide spectrum of Steel Slag. Our reputed entity is providing Steel Slag. Giving best quality in industry, steel slags. 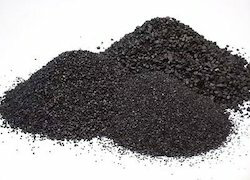 Product Description:We are dealing in Steel slag. we are offering Steel Slag.